Welcome to college life! My colleagues at colleges across the country and I are excited to be a part of this new stage in your life, and we’re here to support your journey toward graduation. You’ve probably been getting countless emails from admissions and student affairs, preparing you for the changes in your life that will begin with your first day on campus. As you may have noticed, many resources for coping with those changes are directed toward your parents and not to you. Your parents might be growing nervous, which can cause you to have a little anxiety. I’d like to suggest that you sit them down for a talk about mental health, so that you can display your maturity, discuss expectations and help calm their fears. Start with “the statistics.” Based on surveys from the JED Foundation and the American College Health Association, it’s unlikely that you’ll proceed through college without at least knowing another student who has a mental health disorder, has attempted suicide, abuses drugs or has experienced an unwanted sexual contact. Talk about these statistics with your parents and discuss what you’ll do if you or someone you know starts to struggle. Remind your parents that these statistics are higher for young adults not enrolled in college and that schools generally have specific responses to each issue. College isn’t a fearful place. Ask your parents about any family history of mental health or psychological problems; these tend to emerge to college-aged adults. If you already have a personal history of such problems, make sure you inform the university’s health center. Your parents might be hesitant to provide this documentation because of negative experiences with high schools — but colleges operate differently. You’ll probably live on campus, so giving the school your full medical history is important. Consult with your former therapist and get recommendations about treatment while in college. There’s often a temptation to view college as a fresh start, and some students want to quit their current treatment plans before starting college. However, this could backfire; it’s better to follow the advice of a professional who knows you. Review your available resources. Your tuition covers the cost of many resources outside of the classroom, including those regarding health and safety. Take the lead in learning about these resources and explaining them to your parents. They might feel relieved if you show them you know where to go if you’re sick on a weekend and the health center is closed, or that you know where to schedule a counseling appointment if needed. You can even reassure them by showing them how to get the same emergency alerts that the university sends to you and all students. Talk to them about stress and coping. Psychologists define stress in terms of the amount of change on an established routine, and college is one of the few developmental points in life where everything can change. Your home, your daily life, your identity, your relationships, even your body can be changed by going to college, to say nothing of environmental stressors such as academic demands and peer pressure. Acknowledge to your parents that college will be stressful — even when things are good — but let them know about your personal indicators of distress. Tell them what signs to look for that indicate your stress, like the words you use to express feeling overwhelmed, and establish plans with them about calling or visiting home during the semester. You should know that many students seek help in college only when somebody tells them to. The majority of referrals to college counseling centers, tutoring/academic coaching and financial support come from family members, friends and professors. So, talk to your family about stress and coping before classes even start and make plans to ask for help immediately when you need it. The transition to college is an exciting time and you’re probably eagerly anticipating your degree plans and the new social connections you’ll make. But your parents are nervous — forgive them, they love you — and their anxiety might negatively affect you. Take their fears seriously with a grown-up conversation and everyone will feel more prepared. 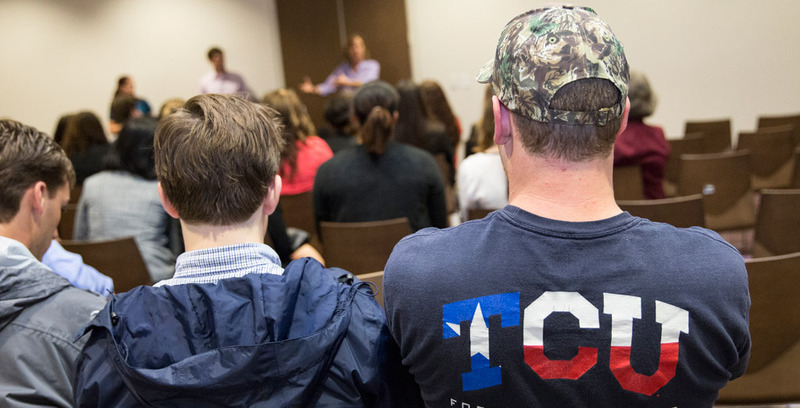 Texas Christian University has been a financial supporter of The Texas Tribune, a nonprofit, nonpartisan news organization that is funded in part by donations from members, foundations and corporate sponsors. 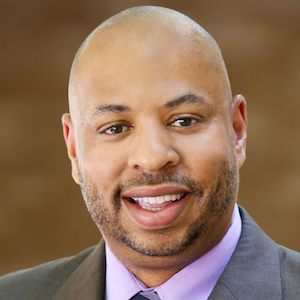 Financial supporters play no role in the Tribune's journalism. Find a complete list of them here.